Every Monday 6:30 PM to 7:00 PM. Connecting with the Community Inside. 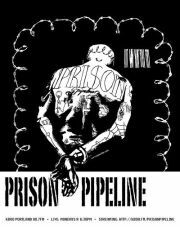 Prison Pipeline is a radio program dedicated to educating the public about the Oregon criminal justice system. Our goal is to present a unique understanding of the criminal justice system, address the root causes of crime, and challenge the status quo. We seek to promote awareness and activism in order to foster a safe, healthy, and just society. Tune in every Monday at 6:30 P.M. to hear our hosts Karen James, Adam Carpinelli, Amy Johnson, Emma Lugo, Doug McVay, Isabelle Sinclair and Nicole Lindahl explore the Oregon justice system with a variety of guests. Hosts rotate weekly. Prison Pipeline's engineers are Danielle Parks and Michael Ftaclas. Thank You from Prison Pipeline!